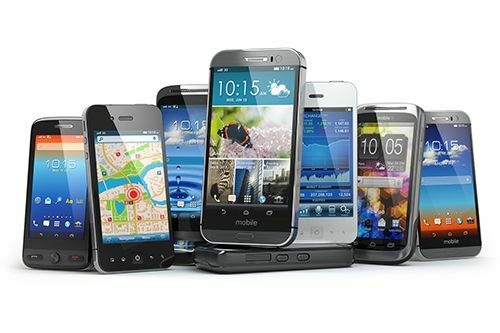 Smart phones have taken over the mobile phone industry. This is mainly because of the ease of communication and the various ways of doing so like calls, messages and emails. Smart phones also offer other services in the form of applications. Applications such as maps give the user directions on how to get somewhere. Social media applications have made it easier to reach a multitude of people in real time. Smart phones run with help from operating systems. Android and iOS are just two examples of OS. Android’s interface is largely direct manipulation, meaning it uses touch inputs like swiping from one screen to the next, reverse pinching when zooming in, pinching to zoom out. It has a virtual QWERTY keyboard that makes it easier to type. With this OS, a USB or Bluetooth can support physical keyboards and game consoles. A phone running on android has a home screen containing widgets, which show live updates on notifications on weather or current music playlist, and icons open the associated application. Its screen has a status bar which is swiped down to show other notifications and short cuts. Android OS is open source, meaning it is open to mgenerate applications by other developers. It can also support applications that are not a product of Google. Android has various locking options like swiping, password, pattern and pin. It also offers alternatives to what a user wants to keep unlocked for ease of access. It allows multitasking, and when an app is not in use, it is merely suspended for later use rather than closed. This assists in battery saving. When the phone memory has become full, the system offers options to “freeze” inactive applications to help in the smooth running of other apps. Android OS is available in over 100 languages. Google drives most of its attention towards the cloud; this makes it hard to connect with other devices within your range. Android is more of an application launcher; most of the apps have to be downloaded from Google App store. The iPhone operating system; what are its advantages and disadvantages? The iOS was created by Apple Inc and unveiled in 2007. Its latest version is iOS 10.3.3, released in 2017. It is written in C, C++, Objective-C, and Swift. It is related to other OS like Unix-like and macOS. The iOS interface is also direct manipulation but it also offers the button and switch option. One notable advantage of the iOS is its ability to connect with other devices like the iPod Touch. The OS is notable for home grown’ apps like Safari, Notes and Maps. iOS is known to be strong and secure, which is why folks buy it despite the sky high price tags. Unlike the Android OS, iOS is a closed source software; it only supports applications certified by Apple. An iOS home screen cannot be customized to the user’s preference. This may not however not be an issue to musers of the iOS. No applications can be added to the iOS phone so the user sticks to what the developers put out. On the lock screen,you have to input the pass code; it’s the only locking option. iOS does not support flash or flash applications. It is only available in 40 languages. Android Vs iPhone, Which is better between the two? This still remains the user’s preference. However, Android operating system beats iOS in terms of options. In Android OS, the user is not limited; the applications offered range from games, to camera enhancers and social media applications. Whatever the user requires, they have a high chance of getting in on the Google App store and is compatible to with their Android OS. However, since Android is open source, it has been criticized for flooding the market with watered down applications whose use cases are neither deep nor extensive.Proponents of the technology have in return argued that the presence of diverse apps gives users a wider field of choices. The iOS is the better option if the user has other Apple products that may work in sync with each other. It is also a great option for users who prefer their applications straight-up.iOS is notoriously hard to hack and hence more secure from malicious attacks than Android.